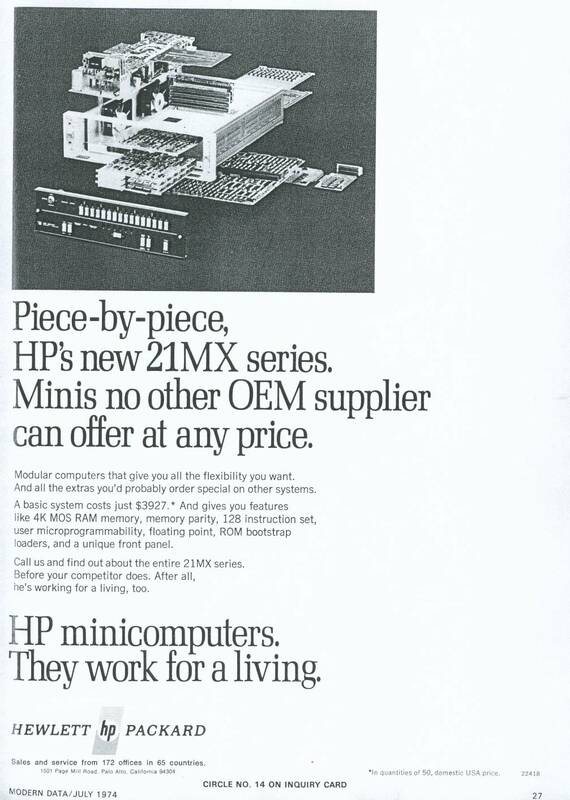 The M-Series machines were the first in the 21-MX Series (although they were not referred to as the M-Series until after the introduction of the E-Series in 1976). The first two models were the 2105A (priced at $4150) and the 2108A (priced at $5300), introduced early in 1974. 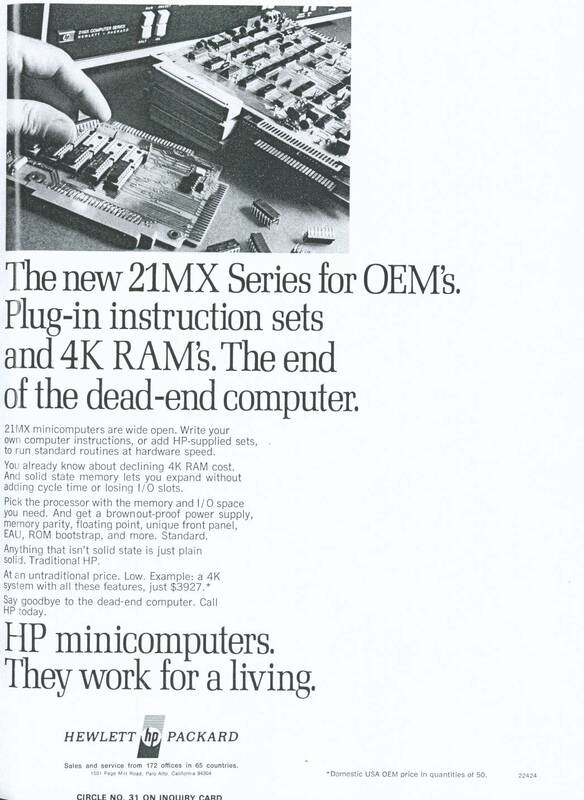 These computers were followed by the 2112A (priced at $6200) later in the year. All of the machines incorporated the new semiconductor memory. The new RAM technology enabled the computers to feature much larger memory than was available on the old 2100 computers. 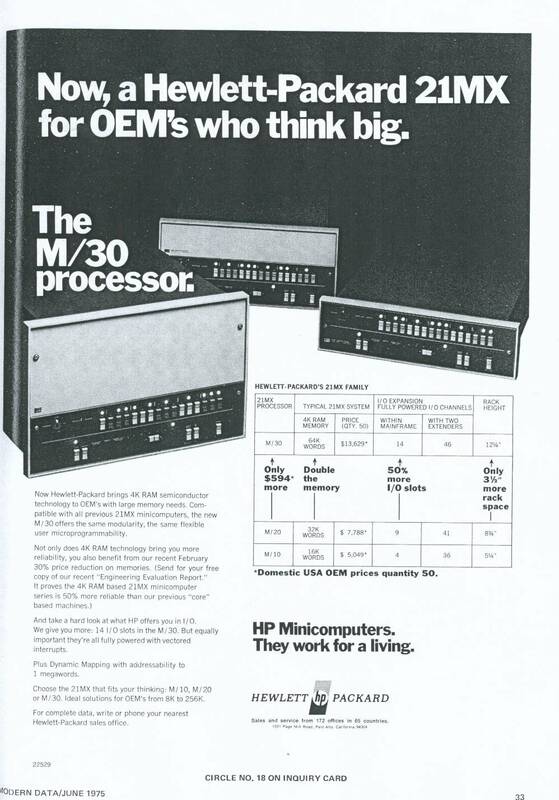 Maximum memory capacity for the 2105A, 2108A and 2112A within the mainframe was respectively 64 KB, 640 KB and 1.2 MB. The primary difference between the three computers was in physical height and number of I/O channels available within the mainframe. These machines were respectively 5 1/4 inches, 8 3/4 inches and 12 1/4 inches in height, with 4, 9 and 14 I/O channels available within the mainframe. The 2108B and 2112B were introduced in 1976. These "B" versions included a revised power supply, with the on/off switch located behind the key-accessed front panel, rather than at the rear of the computer. The model numbers changed a final time after the introduction of the F-Series. The model numbers changed to 2105M, 2108M and 2112M. The 2105A was obsoleted in January of 1981. 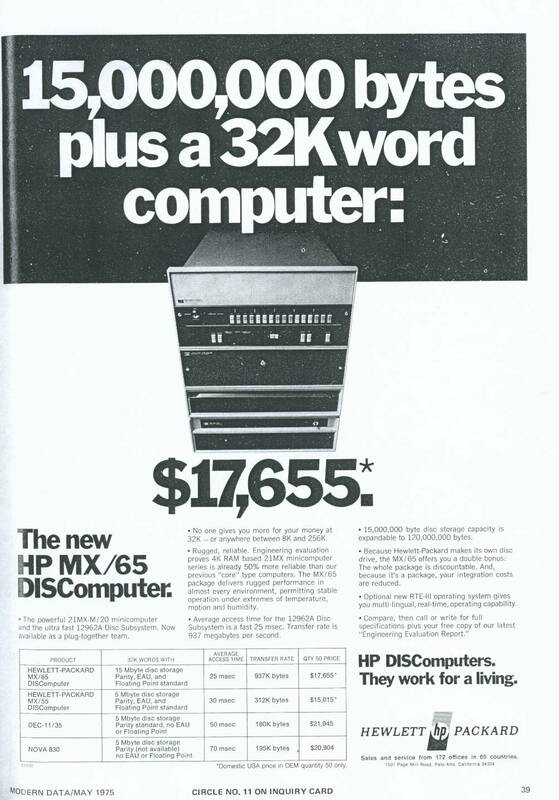 The rest of the M Series computers were obsoleted in May of 1984. The Washington State-based company Strobe makes new classic HP-1000 (21-MX and A-Series) hardware as well as DEC-compatible hardware. A bootable disc image of the latest software for this computer can be found here and here. 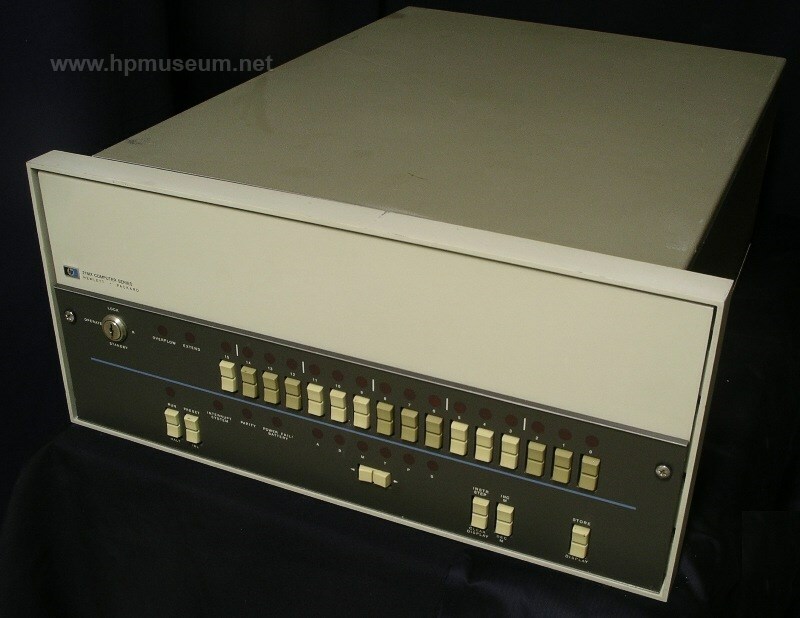 For everything you need to build a paper tape reader emulator for HP 1000 21-MX computers, click here.